Welcome to Tony’s Bikes and cars rental for quality, excellent service, reliability, great rates . Tony’s bikes and cars is a Greek family business offering the best way to go around and discover the island, since 1981. Thousands of visitors have the best memories from their holidays all these years. 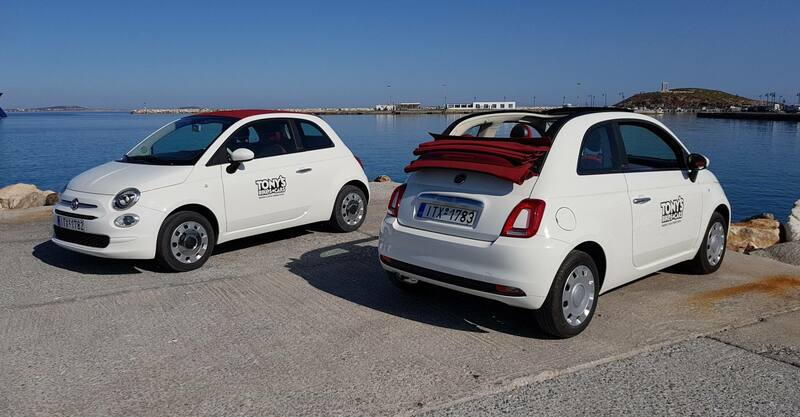 We offer many kinds of safe vehicles and latest models to suit your needs.There is nothing better than a car, quad, scooter or bicycle to enjoy the summer feeling on the island. We highly recommend renting from Tony's Bikes. We rented a 300cc ATV for 3 days while on Naxos. I am convinced that this is the best way to get around the island and it was so much fun. We were here in September so there wasn't much traffic and it was easy to get around. All of their equipment is in excellent condition. The ATV was comfortable for the two of us and had no problems climbing the mountains or keeping up in traffic. I just returned our 80cc Scooter after 4 beautiful days exploring the island. I chose Tony's Bikes because of the consultative service and the hints they gave us where to drive on the island. They also explained us everything carefully and extending the scooter for 2 more day was so easy. 5 Stars for Service, super friendly people (no one needs stress during holidays) great vehicles and the insider tips in what to discover on the island and which routes to take! We spent a lot of time searching around for a decent place to rent a bike. We rented two Scott mountain bikes for six days from the guys in NAXOS. We toured around the Island and had a great time. The bikes were in excellent condition, no issues at all. Great customer service, very good guys to deal with.